Do you believe in superstitions and old wives tales? I have read that it’s a bad omen to have lilacs in the house and what’s that about? I was so excited to find out that my favorite florist had a very limited supply of this purple beauty over the weekend and couldn’t call them fast enough to get my hands on some! Personally I’m not buying into that anything so beautiful would bring in evil spirits, but back in Victorian times the scent was associated with evil faeries evoked by the scent. Hmmm, what are your thoughts? I’m bringing them inside beautifully and wholeheartedly to display. 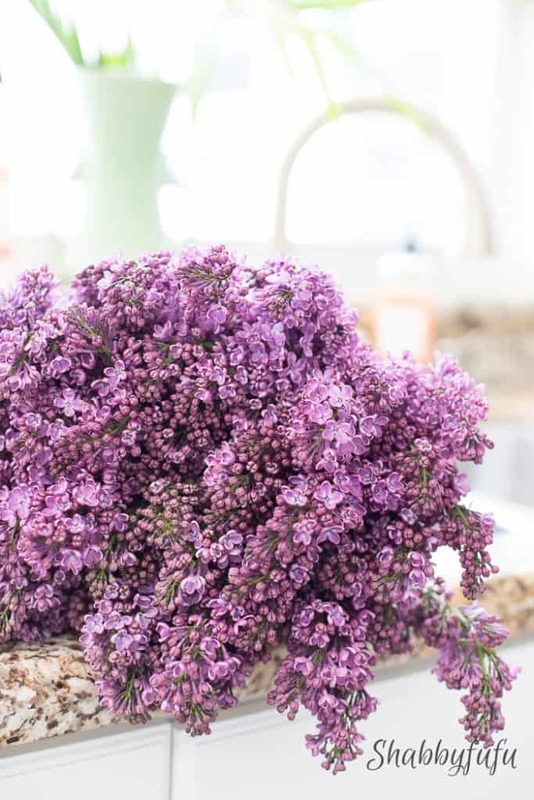 The scent of these lilacs is not overpowering and my florist tells me that they come from Holland, as most of our more exotic flowers do here in Miami. We can’t grow them this far south…so in my garden sadly you won’t find them. 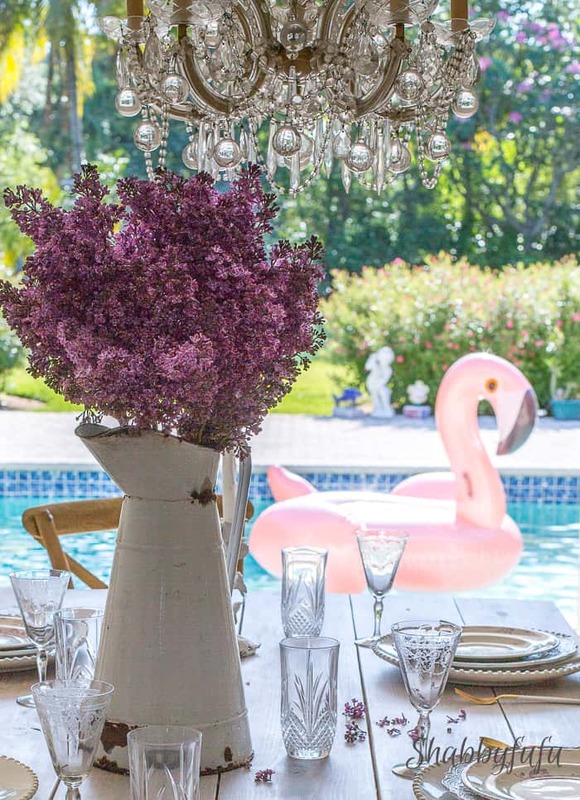 If you take a look outside you just might find a pink flamingo floating in the pool though! This one is from brand partner Amara that I’ve been working with and you can find it on their website and pick up one of your own. She’s pretty huge and we need to name her. Taking suggestions friends!See the pink flowers out beyond? We do have color in the spring here, it’s just not the same as most places. A huge pink plumeria tree is in full bloom right now and painting the lawn out back with it’s pink droppings. 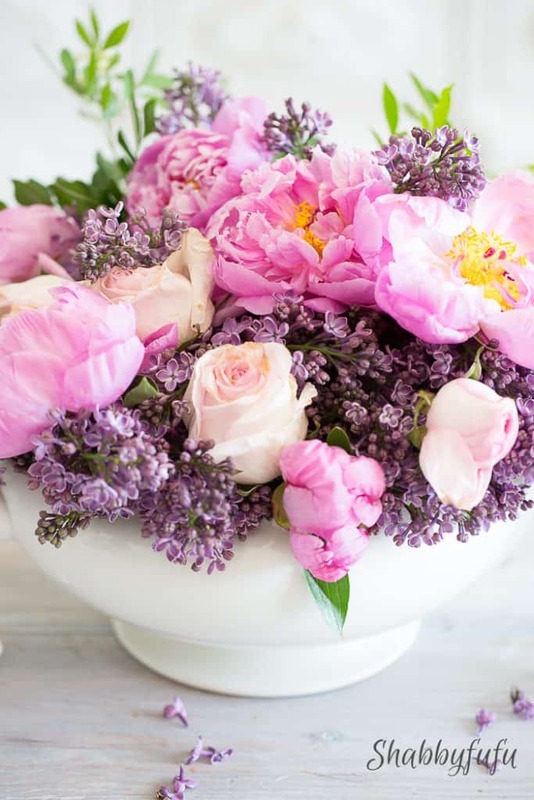 As the life span of flowers winds down, I’ve often talked about extending the display life by cutting the flowers down for a SMALLER CONTAINER. 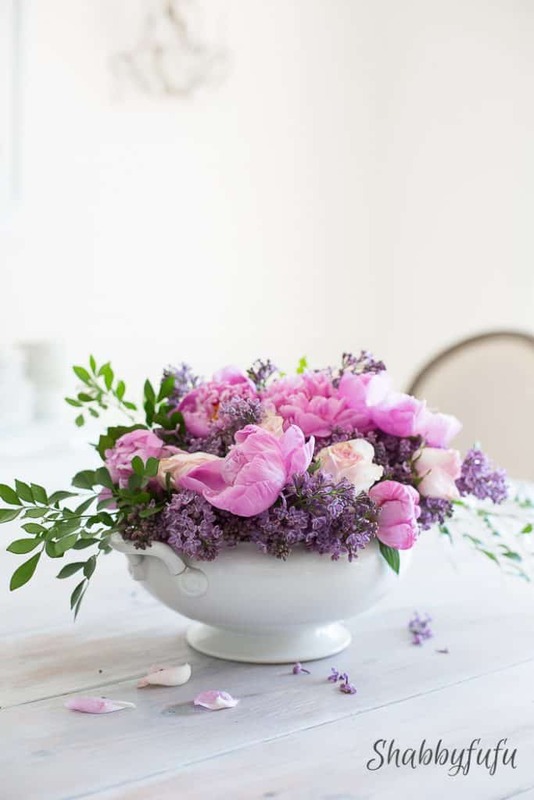 One of the perfect floral arranging vessels is a casserole dish or a compote. IN THIS POST I broke it all down (literally…lol!) with tips on creating your own. Coming your way soon…I’ve been working on a post for this week about farmhouse flower arranging, so you’ll want to stay tuned for that! If you haven’t subscribed just yet, I’d love to have you join me BELOW! 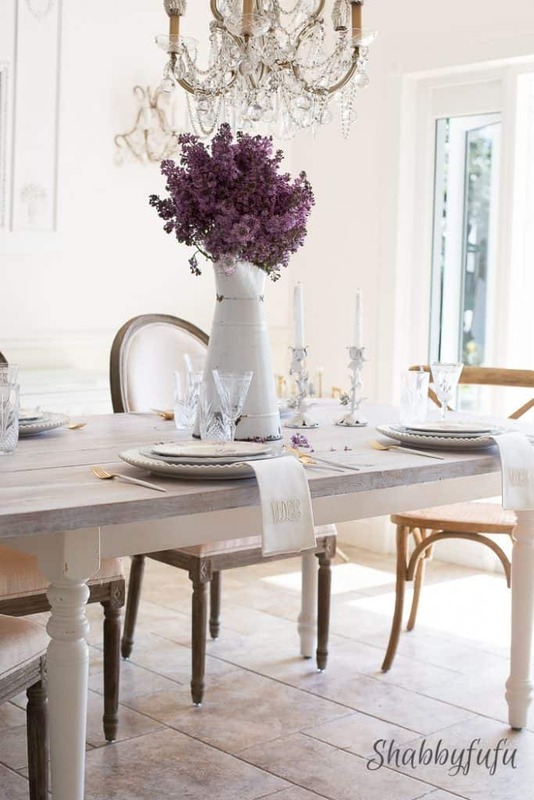 Oh how I miss lilacs! Born and raised in England my mother would not have them in the house also, but I do if I can find them at the florists, very rarely. Enjoy, and greetings from St. Augustine.